My boys have always loved trains. So it’s no surprise to me that they love the Chuggington series that airs on the Disney Junior channel. We’ve been watching the series for quite a few years now, and my boys have a lot of Chuggington toys that they love to play with as well. 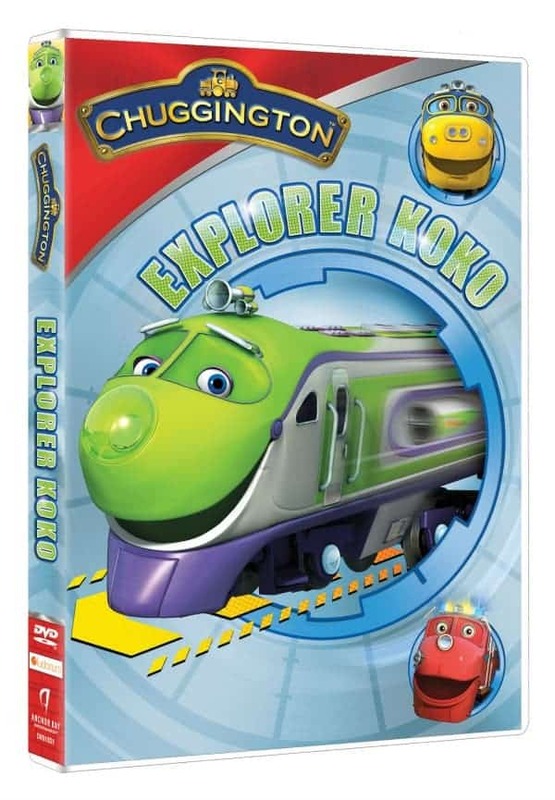 Now we have a new Chuggington DVD to add to our collection, the recently released “Explorer Koko” from Anchor Bay Entertainment. There are also bonus features of Chugger Spotlights, a bonus Badge Quest episode, and coloring sheets. I like when there are coloring sheets included since my boys love to color along as the episodes play. I like the series for it’s positive messages of teamwork, being a good friend, and the rewards of working hard. I also think the series is fun and I like the pace of the show. This DVD runs 64 minutes and would be a hit with any train or Chuggington fan in your life. It has an MSRP of $14.98. For some extra Chuggington fun, print out this Scavenger Hunt activity for the kids. Thank you for all your hard work that benefits so many! Thank you for all of the opportunities!